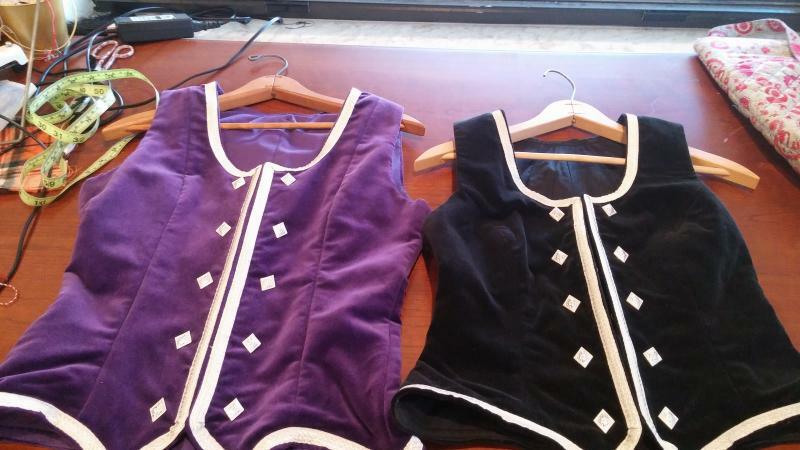 dance.net - Four Highland vests for sale - royal blue, black, navy and purple (10248719) - Read article: Ballet, Jazz, Modern, Hip Hop, Tap, Irish, Disco, Twirling, Cheer: Photos, Chat, Games, Jobs, Events! 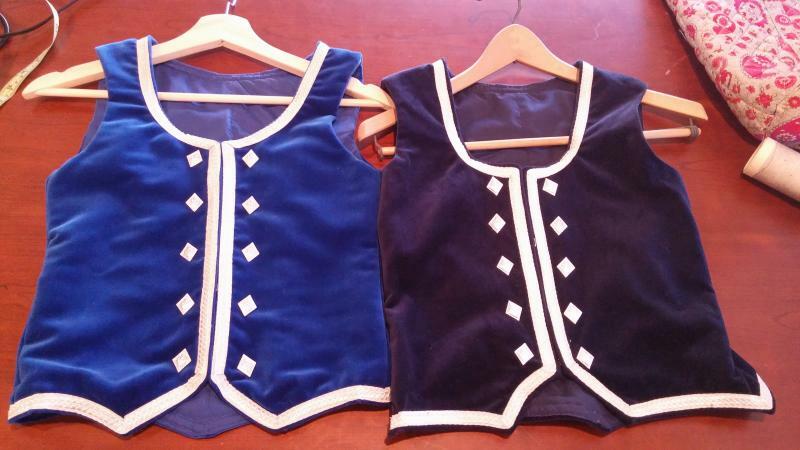 I have four new highland vests for sale. Sizes below, length is from nape of neck to back point. Royal Blue - chest 29", waist 26",length 18"
Black - chest 33", waist 29", length 20"
Navy blue - chest 30", waist 28", length 18"
Purple - chest 35", waist 30", lenth 22"
Vests are $70 each, shipping is $10 within the US, $20 to Canada and I accept PayPal. Hi I’m interested in the black vest but would like the hip measurements please. Hi, are these still available? I would like hip measurements for the black vest please. Between the bottom side points is 36". Is the purple one still available? Yes. Let me know if your still interested.